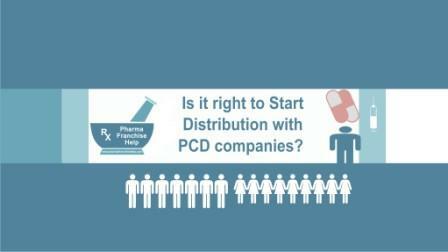 Is it right to Start Distribution with PCD companies? I have gone through your general discussion about pharma franchise on the web. I am retailer I want to start my wholesale shop. Is it right to go with PCD companies? As I am new in this business just i want to know about terms and type of the business. Starting with PCD company is not a bad idea. PCD companies appoint distributors those do marketing for them. They are different from companies like cipla, ranbaxy who do direct marketing. PCD companies do not do direct marketing. They provide products at net rate and give monopoly rights for particular area. PCD companies will only support you in marketing of their products but will not do direct marketing. If you have any person who are working for PCD company and need distributor then it would be great to give distribution. There are many person in market those do work for PCD companies and don’t have D.L. number, so they require distributors. One of best advantage to work for any PCD distribution is that you haven’t to invest your money in market because that work will be done by person who doing marketing for that company. You will get only your percentage margin for purchase and sale of medicines. Few pharma PCD companies impose sale target but most of companies will not impose any sale target. They require regular sale. They provide visual aids, catch cover, small gift articles, product cards etc for helping in sale. Most of PCD companies work at advance payment but after few dealing they can provide you credit. One of common problem with PCD companies are shortage of stock, so be careful while choosing company. Other term conditions like expiry will not be taken back etc. Term and conditions are depend upon company and differ from company to company…. Term and Conditions:- 1.) GSTN will be charge as applicable. 4.) Only Manufacturing Defects goods are replaceable. 5.) Breakage and Expiry is not replaceable. 6.) Payment : Initially Advance . Review after 3 months and 25 days credit with Security Check. 7) First time visual aids will be free of cost above order 15000 /- after ward with mutual discussion. 8.) All disputes are subject to ———- jurisdiction only….